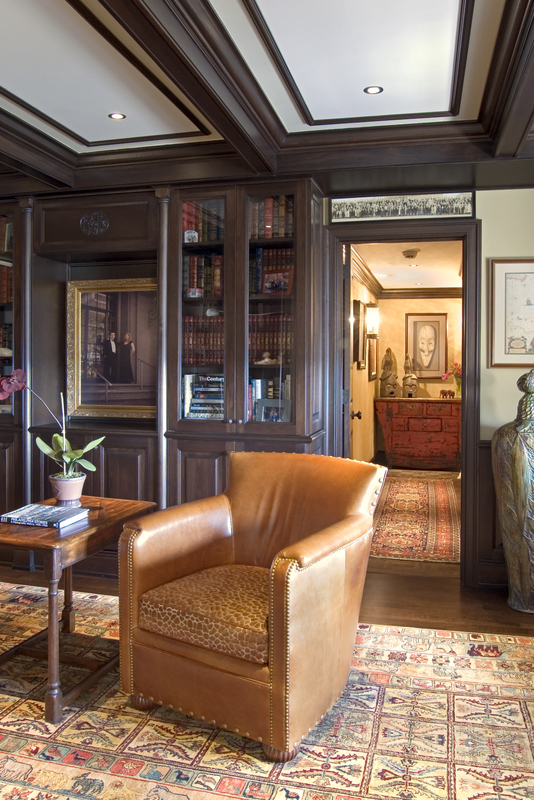 In this cozy study, custom built-in shelves step up to the storage challenge. 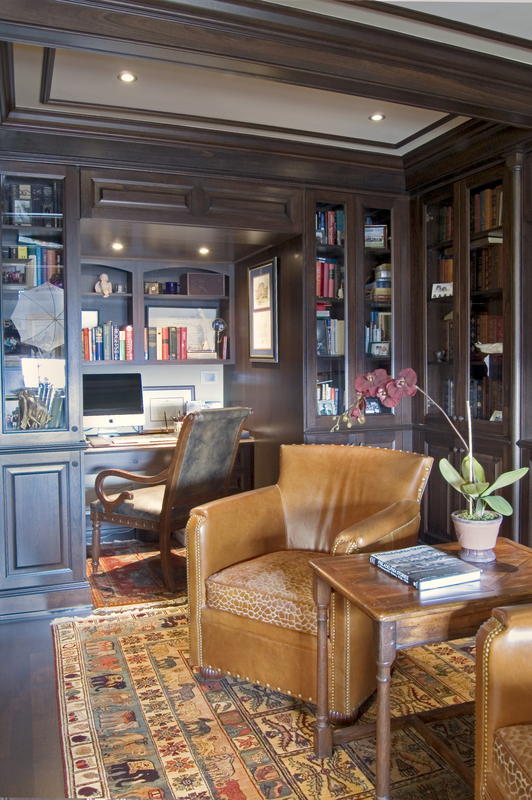 A computer niche tucked away in the study offers a quiet place to focus. Shelves filled with reference works and inspiring mementos are sure to brighten spirits, when burning the midnight oil. 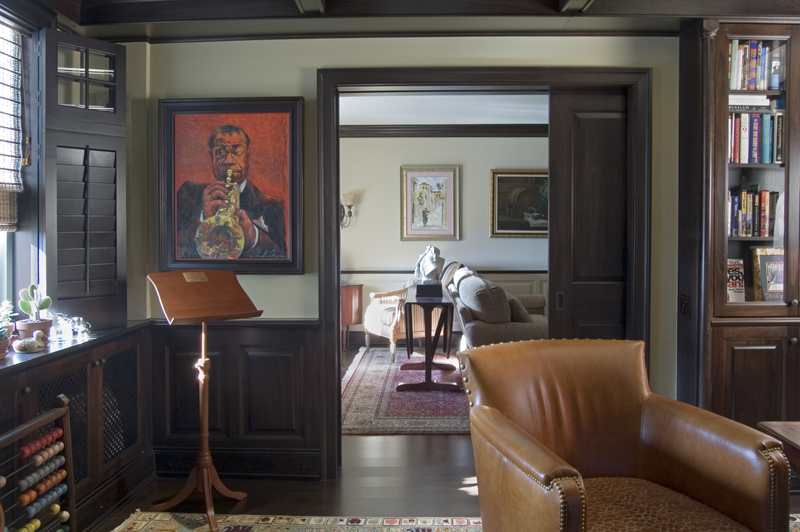 Pocket doors between the study and living room provide privacy when necessary. Pocket doors, which slide into the wall when fully opened allow a doorway to be completely open without taking up any floor space. That room is just gorgeous! I love the built-ins and the lighting. Thanks! This is my favorite room in the place. The cabinet guy does great work – http://www.stimmeldesign.com.